"Rishte mein toh hum tumhare baap lagte hai.Naam hai Shehenshah".Angry young man , Shahenshah, BigB, Don.There are many names that Bollywood had adorned Amitabh Bachchan with.Amitabh Bachchan was born on 11th October 1965 in Uttar Pradesh and is the grandson of late poet Harishvanshrai Bachchan and is considered to be one of the most influential actors not just in india but on an international level.He has successfully completed more than 180 films in his career span and still continues to entertain the audiences. He debuted in a supporting role in the movie Saat Hindustani. 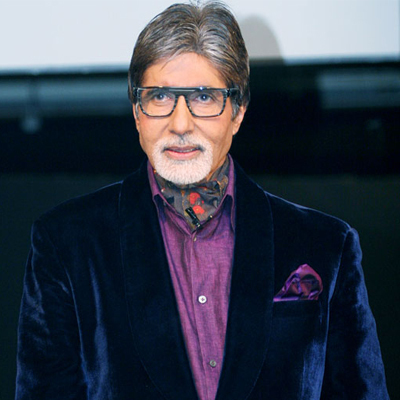 Read more..
Amitabh Bachchan's favourite holiday Destination? Amitabh Bachchan began his career in films as a __________ . Amitabh Bachchan was keen to join the Indian _____ . Picture Quiz: Guess the following AMITABH-REKHA movie!